We do not supply Knives, or knife accessories to persons under 18 years of age. If purchasing please state your date of birth to confirm that you are over 18 years of age to comply with the offensive weapons act 1996. These items cannot be paid for by Postal Orders or Cash. As part of the 2006 Violent Crime Reduction Act it is now an offence to sell a knife, Knife making materials or Edge tools to persons under the age of 18 years. 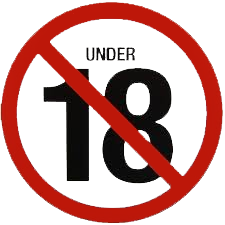 We actively check that all customers buying these items are aged over 18 years. One of our sources of information is the UK Register of Electors. If we have been unable to satisfactorily confirm your age you will then be contacted and asked to send to us proof of your age by post or email. The "Steel Stick" is a pivoting steel bar to spread briskets on deer & enable faster coolin..
Marttiini "Martef" Skinner Knife The Marttiini knife story began in 1928 in the land of dark arc.. The all-in-one knife for outdoor buffs. Blade of Swedish cold-rolled special stainless s.. Ideal knife for "perfect-portion" control whilst cutting steaks or dicing meat. 8" Stainless ..
G10 handle with OutDoor Edge inlet motif set in the handle. Quality brass liners. 7Cr-1.. Description: The Swedish Forest knife is multipurpose knife for hunting, bushcraft or general..
170mm x 3.5mm Stainless steel forged blade Polypropylene handle Size: 170mm Due to age..
Marttiini "Golden Trout" Filleting Knife The Marttiini knife story began in 1928 in the land of .. The all-in-one knife for outdoor buffs. Blade of Swedish cold-rolled special stainless steel .. The FishBlade is a combo knife with a filleting blade & gut opener combined. Sandvik 12c2.. Handle is made of Polymide with a micro blasted surface for optimum friction. Blade is made.. Description: Casstroms No 3 belt dangler is an excellent accessory which lets your knife hang l..
Budget price point bone saw ideal for general home & larder butchery Epoxy coated frame ..
Marttiini Basic Filleting Knife The Marttiini knife story began in 1928 in the land of dark arct..
Push the lock button & SwingBlaze changes from drop-point skinner to the ultimate gutting b.. This is a new addition to the popular "Companion" range and designed to really stand out & min..
Mini folders that feel like a full-sized knife. Rubberized Kraton handles ensure a secure t.. Description: Compact utility knife with a 2.5" Blackstone oxide coated 8Cr14 stainless steel bl.. This handy little knife has a blunt or ball end which is perfect when used for "legging" or skinni..
75mm blade with safety lock. Saw. Punch/reamer awl with sewing eye. Bottle opener wit..
Polymide handle with finger grips & microblasted structure for optimum friction. ..
Lightweight, folding zipper blade features easy one-handed opening. Reliable frame-lock desig..
Free Carriage is included in the price of this item - please order this item separately to obtain .. The perfect knife for cutting up or down haunches or front legs (legging) as part of the skinning ..
75mm blade Saw. Punch/reamer awl with sewing eye. Bottle opener with flat head screwd..
Black Ribbed Elastomer Handle. 5"/125mm Semi Flex blade made from Stainless Grade Carbon St.. OutDoor Edge Sharp-X Product Code: SX-100 Description: Compact 2 stage sharpener with course .. This is the folding version of the popular Kodi-Caper. Quality AUS-8 Stainless Steel blade. .. This is a small but versatile locking knife from the renowned Swedish knife maker EKA. Sturdy..